According to the expert evidence of former Australian Federal Police (AFP) Officer, Mr Murray James Smith, “cuckoo smurfing” in essence, is a scheme that targets an innocent party/parties who are seeking to be legitimate account holders of a foreign bank account for a series of legitimate financial transactions also known as structured deposits. The term “cuckoo smurfing” originates from Europe and is adopted from the activities of the cuckoo bird. The Cuckoo bird will lay their eggs in the nests of other species of birds. 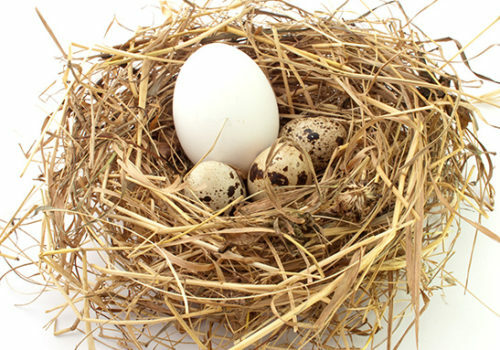 Unbeknown to these other birds; they end up taking care of the eggs believing them to be their own. Similarly, the innocent party/legitimate bank account holder will provide funds to an alternative remitter in a foreign country to transfer the funds to their Australian account. This is typically done to save costs and bank fees. Without the knowledge of the legitimate bank account holder, the remitter is actually a part of a criminal syndicate laundering illicit funds. The Australian criminals, also known as smurfs, deposit illicit cash profits from Australian crime syndicates into the bank account of the customer awaiting the overseas transfer. The cash is usually deposited in small amounts to avoid detection under transaction threshold reporting requirements. At all times, the customer believes that the overseas transfer has been completed as legitimately arranged. On 24 October 2015, the Court made a restraining order pursuant to section 19 of the Proceeds of Crime Act 2002 (Cth) restraining Mr and Mrs Ganesh’s three Australian bank accounts with a combined value in excess of 3 million AUD upon application by the AFP. Mr and Mrs Ganesh, the account holders and respondents to the forfeiture application, made an application under s31 of the Proceeds of Crime Act to exclude their interest in the bank accounts from the restraining order. Mr Ganesh planned to lay down the foundations for his family to start a new life in Perth, Australia. Mr Ganesh provided funds obtained lawfully from his scrap metal business in Malaysia to an acquaintance, Mr Zamri, whose parents ran a money changing business. Mr Zamri referred Mr Ganesh to a man known as Hameed who had previously told Mr Zamri that he was a money remitter. Hameed advised Mr Zamri to tell Mr and Mrs Ganesh to travel to Australia and open the three bank accounts to which they complied. The Respondents would then give Mr Zamri the money in Malaysian Ringgit and it would subsequently be deposited in Australian Dollars in the nominated Australian bank account. It was the Respondents’ evidence that they were not aware that the funds they gave to Mr Zamri were substituted with money suspected of originating from crime and deposited into their accounts in Australia. The AFP made an application to freeze the three accounts. The order was made on the basis that there was reasonable grounds to believe that the property described was the proceeds of an indictable offence, an instrument of a serious offence or both. The Commissioner relied on two offences in the s 19 application: s400.9(1) of the Criminal Code (Cth) and s142 of the Anti-Money Laundering and Counter-Terrorism Financing Act 2006 (Cth). the court is satisfied that the authority has taken reasonable steps to identify and notify persons with an interest in the property. It is important to note, that pursuant to section 49, a finding of the court under (1)(c), need not be based on a finding that a particular person committed any offence. Section 329 of the Act prescribes when property is proceeds or an instrument of the offence. The section also looks at the relationship between the property and the commission of the offences. The wording used in the section refers to property that is wholly “derived or realised” or partly “derived or realised” which is not defined. However, having regard to the ordinary meaning of “derived or realised” it would include any property that comes from or has its source or origin in the commission of the offence, property obtained by the conversion of other property into cash or money, and any profit made from the commission of the offence. The same applies for instruments and the required relationship is equally as wide. Sufficient consideration: an acquisition or disposal of property is for sufficient consideration if it is for a consideration that is sufficient and that reflects the value of the property, having regard solely to commercial considerations. Applying s330(4)(a) to the facts, if the deposits made into the respondent’s account were made in the commission of an offence under s142 of the Anti-Money Laundering and Counter-Terrorism Financing Act, Mr Ganesh and Mrs Ganesh’s right in relation to the funds are derived from the commission of that offence and are proceeds of that offence. Particularly, the section requires “sufficient consideration”. Section 330(4) is directed to when property ceases to be proceeds or instrument of an offence to which the Respondents rely upon. The main issue was the sufficiency of consideration. Was there sufficiency of consideration demonstrated on the facts of this case? Justice Allanson was satisfied that Mr Ganesh had proved that the amount he had paid to Mr Zamri was sufficient consideration for what he acquired. The fact was Mr Ganesh had given Malaysian ringgit in exchange for Australian dollar at a commercial rate – this fact was not challenged by the Commissioner. Consideration must be given regarding s 142(3) of the Anti-Money Laundering and Counter-Terrorism Financing Act, and the total value of the transactions. Here, although the total amount was large and significant, Mr Ganesh was able to show that the amounts corresponded with the amounts he provided to Mr Zarma in Malaysian Ringgit. Period of time over which the transactions tok place was relatively short and corresponded with Mr Ganesh’s business receipts. It was accepted that Mr Ganesh was not aware of the multiple locations at which the transactions took place nor that the deposits were made in different states. No evidence supporting a finding that Mr Ganesh was aware that structured deposits was linked to criminal activity in Australia or Malaysia. Based on the above, His Honour was satisfied that the respondents Mr and Mrs Ganesh’s interests in the three specified bank accounts ceased to be proceeds or an instrument of an offence when acquired by them. The forfeiture order therefore excluded the bank accounts. The outcome of this case was significant. In the course of the hearings, it was revealed that a further 16 cases were awaiting judgment or waiting to be heard that involved circumstances similar to this decision.